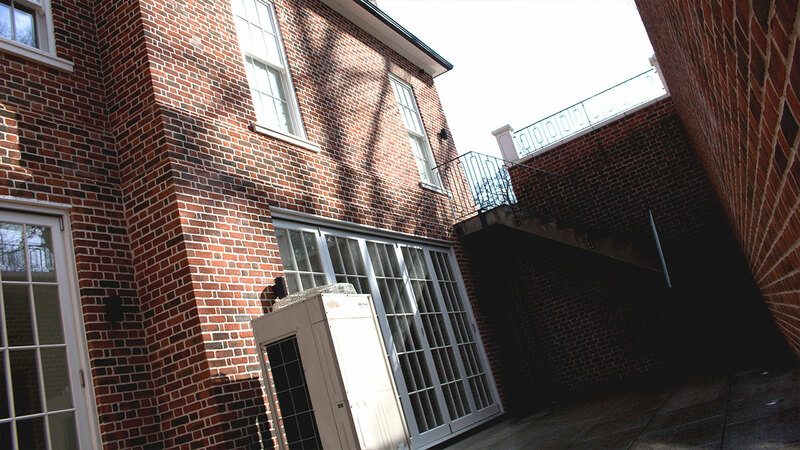 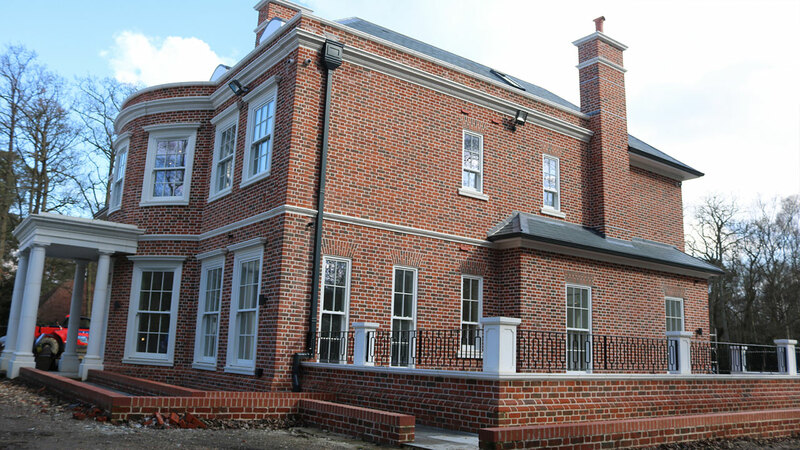 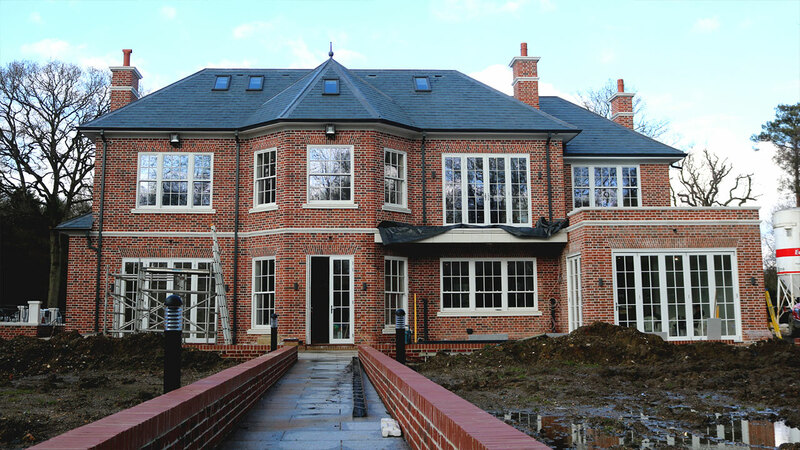 When we were asked to build a 3,500 sq ft basement for a new build Georgian-style mansion in Ascot, there was one major challenge to overcome. 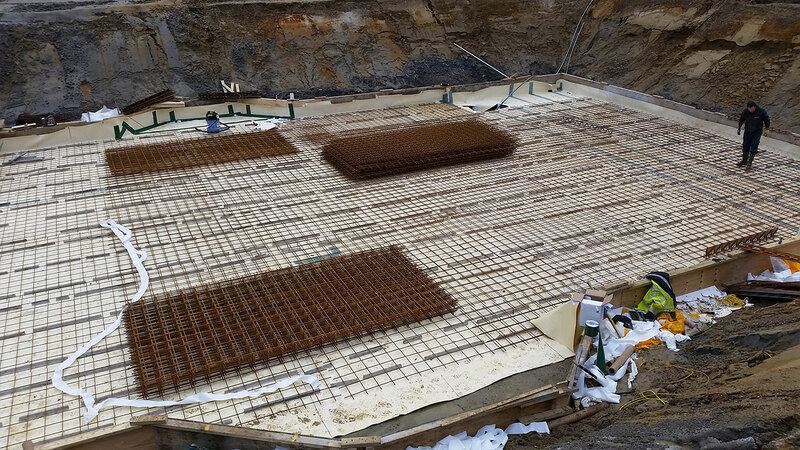 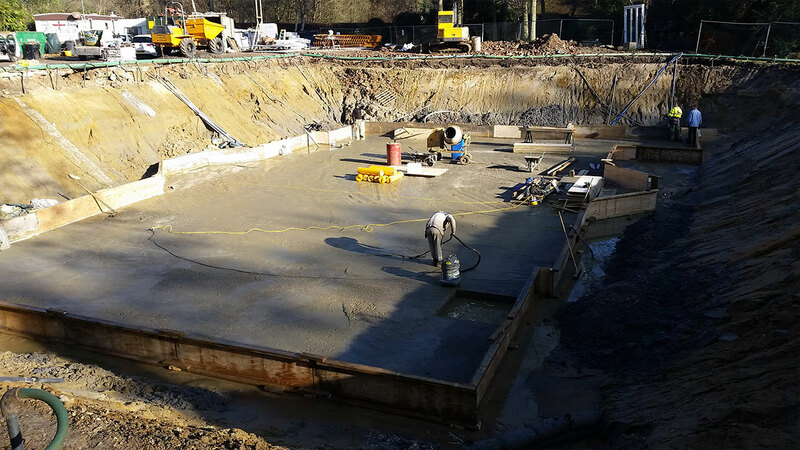 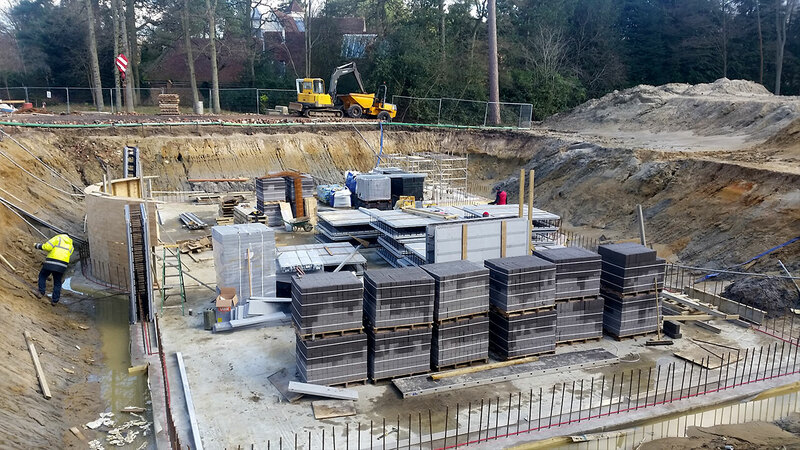 The area has a very high-water table, which meant we had to constantly de-water the ground during the excavation and build and take extra measures to ensure the finished luxury basement is properly protected. 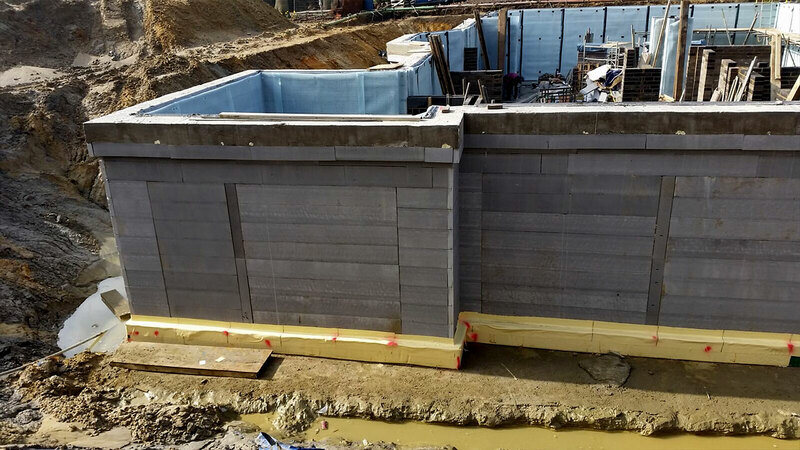  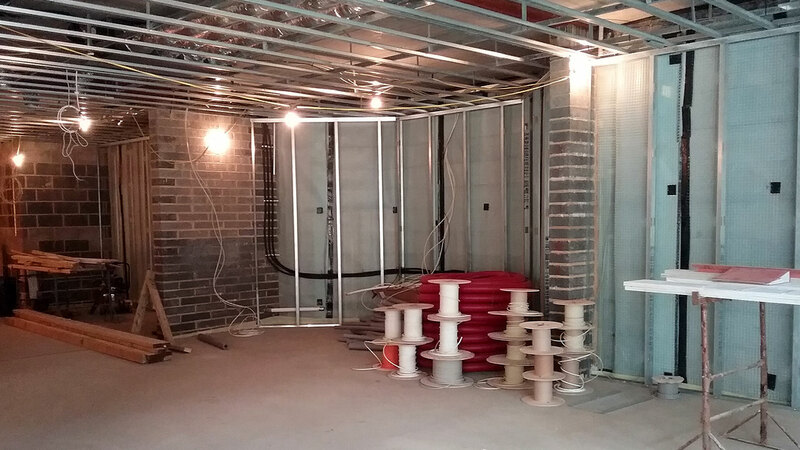 We used Insulated Concrete Formwork (ICF) to build the basement with an external membrane system under the ground slab and on the external walls to give it a uniformed and water-tight external structure. 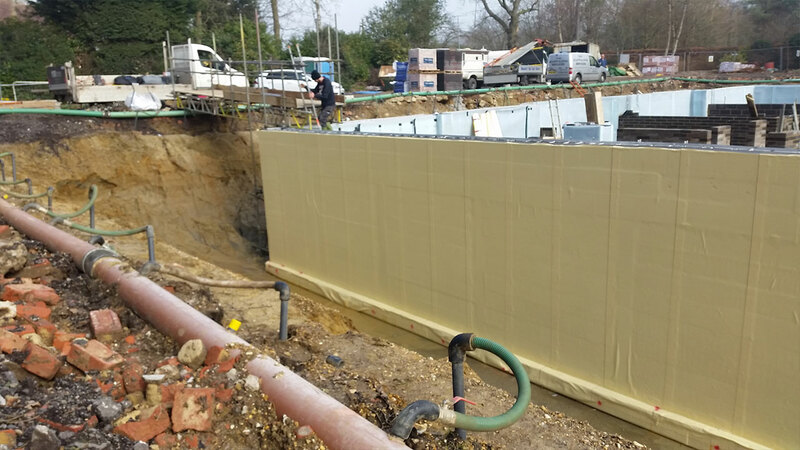 We then installed an internal cavity drain membrane system all the way around the basement leading to two sump chambers with 4 mechanical pumps, complete with alarms and battery back-up. 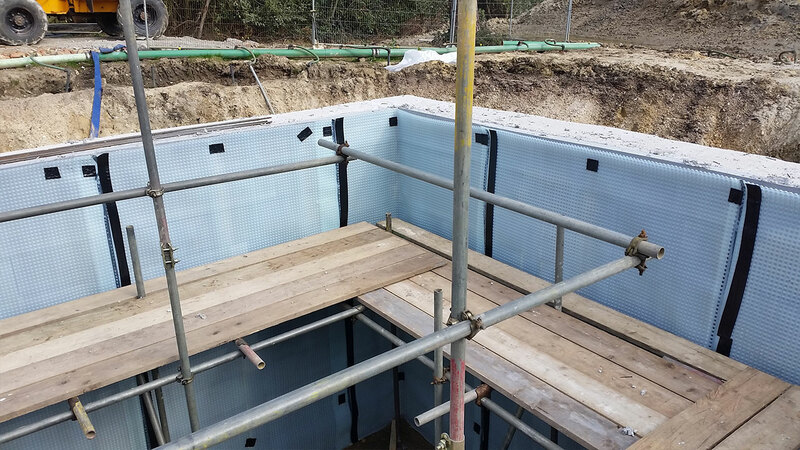 The result is a very thermal efficient basement which complies with BS8102:2009, the British Standards code of practice for waterproofing. 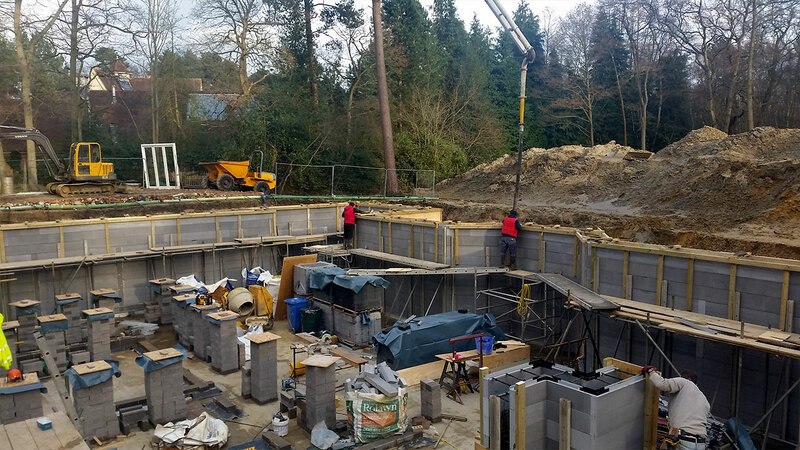 And all this means that for many years to come, the new owners will be able to enjoy a beautiful undergound living space, which will boast a cinema room, a spa and an impressive entertainment space complete with a bar area.